Willow Smioth and her brother jaden at the Kids Choice Awards in Los Angeles. She is such a tiny little thing. Willow was suspended in air for her performance at the Kids Choice Awards. 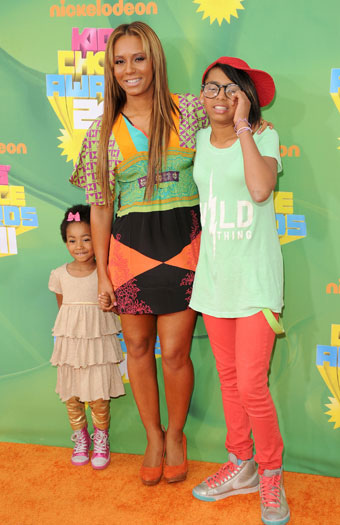 Mel B and her Daughters at the Nickelodean Kids Choice Awards, her little girl for Eddie Murphy looks so cute. Also at the Kids Choice Awards was Keke Palmer, looking super grown up, you can tell she is happy to be older, cause from all the pics at the Awards she is one of the only people that wore a freakum dress.